It’s the 28th of December — just 3 days short of it being 2017. I could’ve sworn I’ve just written a recap of 2015 in my blog, but hey, this year flew by like it had a mind of its own and no one could’ve stopped it if they tried. for 2016 was at Estancia on March 19th. That was also my arm-knitted scarves’ debut. The following day, March 20th, I held a small papercutting workshop at Spectrum Lifestyle Store in Alabang. Spectrum was also where I had been a consignee since late last year. Unfortunately, the store ended its run in October. It was a good experience for me, though. It’s healthy to explore and take risks from time to time. Summer was the highlight of PdP’s year. April and May were all about exposure. LOL. Minimal exposure, yes, but who am I to be picky? In April, Maker’s Market collaborated with HGTV. 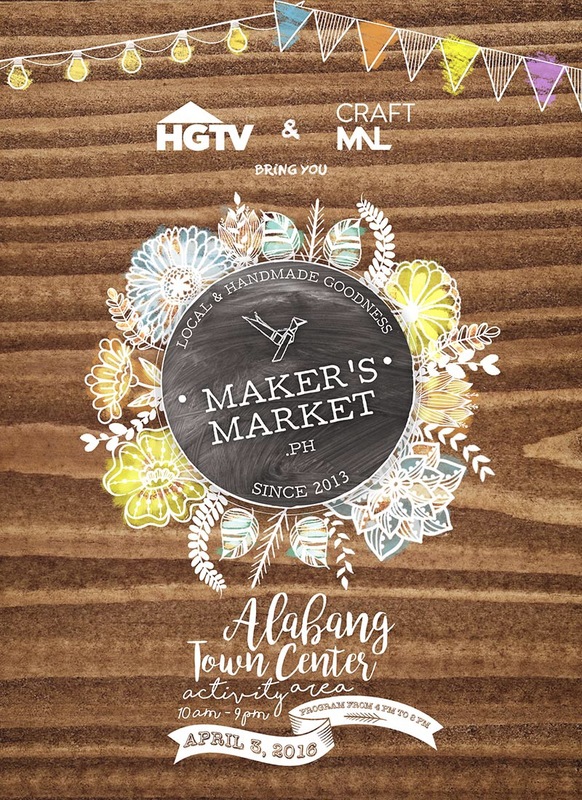 An event filled with local and independent crafters was held at the Alabang Town Center on April 3rd. The place was packed mainly because the event was held in the atrium and a program with hosts was held late afternoon. The hosts took time to interview all makers — including myself 😉 — so the shoppers became more interested with the items for sale. I was told it was shown on HGTV, though I have yet to see it. May came and I received a call from GMA-7 (a local TV network in the Philippines) inviting me to guest in an early morning show to showcase my items and teach the hosts some basic papercutting techniques. You could imagine my nerves then, especially that it was on live TV. Thankfully, I managed to calm my shaky hands and was able to move my lips when it was time to talk. The craft fairs I joined in were spread throughout the year. Some of them were back-to-back events (I don’t encourage this if you want to have a life), and boy, was it tiring. Fulfilling, nonetheless. 🙂 It was also at a craft fair (my first 10a Alabama experience!) that I met Mai of Fake Alchemy through a common friend. This friend suggested that we do a collaboration of our works, thus, the birth of the handmade papercut glass pendants that we now both sell. Amazing how things come about, huh? The third quarter of the year brought about my first ever radio guesting and my last papercutting workshop for the year. The radio guesting was at RX 93.1’s Heard on Thursdays show. I got to talk to Hazel and Raffy about my craft and experiences with papercutting. HAPPY NEW YEAR, FOLKS! Cheers to a more craft and love-filled 2017! Papercutting Workshop – Moved to March 20. Source: Papercutting Workshop – Moved to March 20.